Raise your hand if you remember that commercial. I was reminded of it with this morning’s blustery start to the day. I know a number of people who lost power and Ross Local Schools even had to stage an early dismissal for their middle school and high school due to no power. Unfortunately, it looks like more storms may be headed our way this weekend. For those of us with pets, it’s also worth noting this Preparedness Kit for Pets & Animals and this PDF from the American Red Cross. 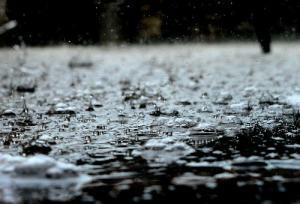 Heavy spring rains also raise the potential for flooded basements. If you find yourself in that situation your first and foremost concern should be safety. It might be tempting to run down and try to save some items from getting wet but there are serious risks. The water could be contaminated and if the water has come into contact with any sources of electricity you could be shocked. Obviously you want to keep children out of the area but don’t forget about pets. I know a particular dog that loves nothing more than to get into things she shouldn’t! 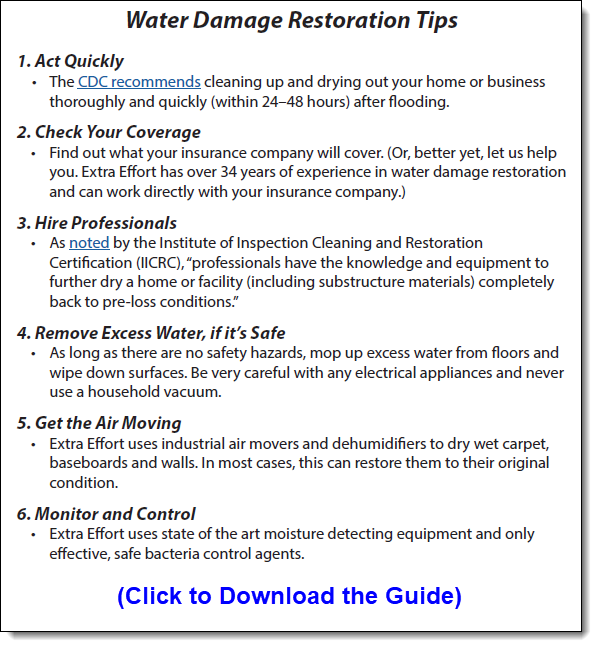 Only after your safety has been addressed is it time to think about the water damage restoration process. Here’s a printer-friendly guide outlining the key steps. Call us today at (513) 777-8770 to learn more about our water damage restoration and carpet cleaning services. Or email us at service@extra-effort.com to learn about this month’s cleaning special.